In all honesty, I’m confused as to why society is still stuck on this topic. 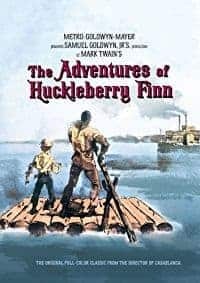 Many people have made the argument that due to the Mark Twain’s use of the “n word”, Huckleberry Finn is not appropriate to be taught in schools. But why is this word considered inappropriate? Is it out of respect for African American history, or is it because it’s a hard topic to talk about, and people rather push it to the side? Personally, I think it’s an issue of the ladder. I believe this book should not be banned, and must be discussed. This is because by talking with one’s peers, more perspectives are added and offer a solution as how to address the “n word”. By talking openly about the historical context of the word, less power is given to it. By not addressing this situation, history is bound to repeat itself. I believe it is crucial to address both the history of this word, and Mark Twain’s purpose of using it in his text. Clearly, Twain used this language as a deliberate way to invoke a reaction, not out of pure disrespect. I say this due to how Twain writes about Jim, and paints him as a normal boy, in a society where he is treated like property (instead of Twain portraying him as property himself). Controversy around “The Adventures of Huckleberry Finn” by Naomi is licensed under a Creative Commons Attribution-ShareAlike 4.0 International License.